AKIPRESS.COM - Participants from 25 countries are attending the 15th Procurement, Integrity, Management and Openness (PRIMO) Forum that started today in Tashkent, Uzbekistan. Since 2005 the event has been serving as a platform for exchanging knowledge and experiences in public procurement reform and is hosted on an annual basis by one of the states in the Europe and Central Asia region. The Ministry of Finance of Uzbekistan organizes the 15th PRIMO Forum on April 10-13, 2019. It is co-sponsored by the World Bank, European Bank for Reconstruction and Development (EBRD), Islamic Development Bank (IsDB) in cooperation with the European Investment Bank (EIB), Asian Development Bank (ADB), Organization for Economic Co-operation and Development (OECD), World Trade Organization (WTO), and UN Commission on International Trade Law (UNICTRAL). The objectives of the Forum are to provide an opportunity for public procurement agencies, key stakeholders of participating countries and development partners to learn and share their experiences and practices in public procurement reforms with a special focus on managing procurement and implementation in public investment projects. The event also aims to foster regional and global cooperation and networking in public procurement, and contract management to improve the quality of the outcomes of public investment projects for better service delivery to the citizens. 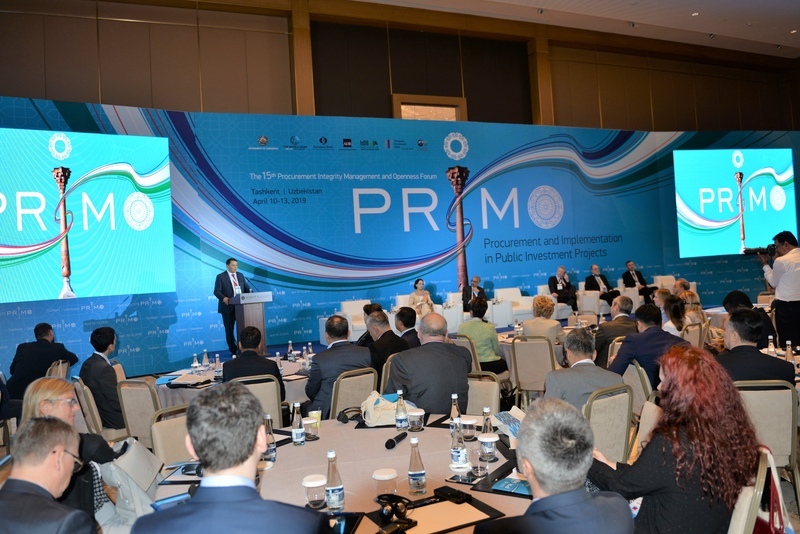 The PRIMO Forum in Tashkent is being attended by over 100 participants, including high level government officials responsible for public procurement from over 20 countries across the ECA region (Albania, Armenia, Azerbaijan, Belarus, Bosnia and Herzegovina, Bulgaria, Croatia, North Macedonia, Georgia, Kazakhstan, Kyrgyz Republic, Moldova, Montenegro, Poland, Romania, Serbia, Turkey, Turkmenistan, Ukraine, Uzbekistan), as well as representatives from Kuwait, Brazil, Chile, and experts of international organizations, such as the World Bank, EBRD, IsDB, ADB, EIB, OECD, WTO, UNCITRAL, and others.